Item # 296828 Stash Points: 4,495 (?) This is the number of points you get in The Zumiez Stash for purchasing this item. Stash points are redeemable for exclusive rewards only available to Zumiez Stash members. To redeem your points check out the rewards catalog on thestash.zumiez.com. 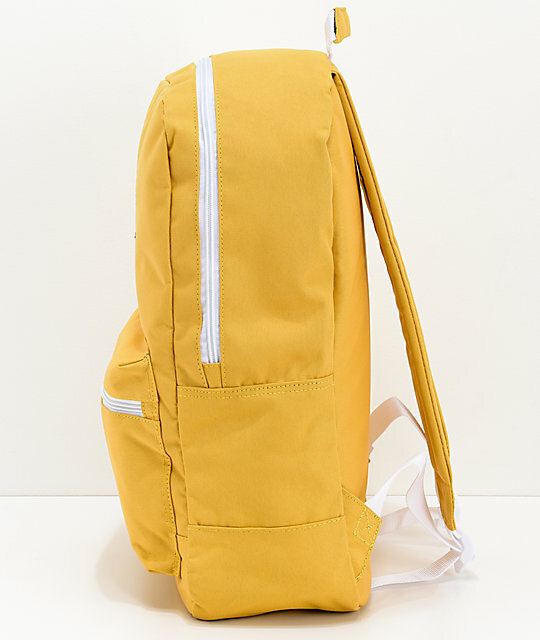 Bring style to the forefront with the Brenda Cut Off yellow backpack from Empyre. 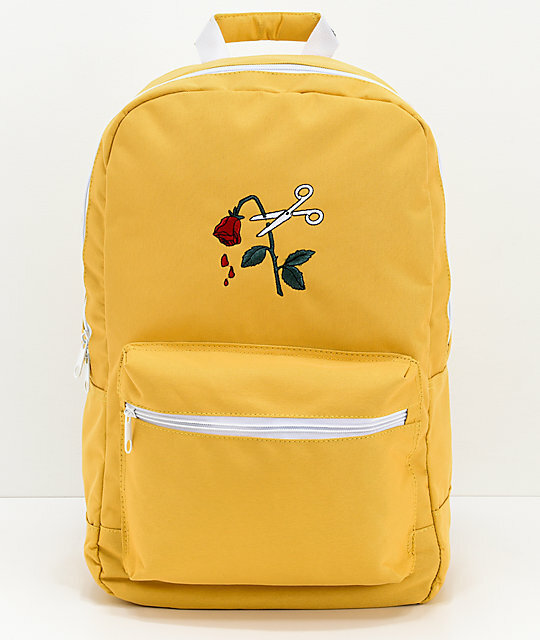 Coming in a goldenrod colorway, this canvas backpack is adorned with an embroidered graphic on the front of a pair of scissors cutting the stem of a red rose for an original look. It offers a generous 15.5 liter carrying capacity with two roomy compartments that include a padded laptop sleeve for convenience. 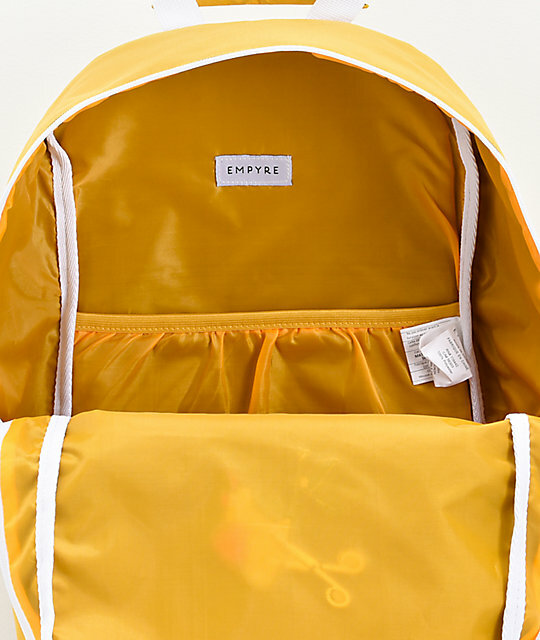 Brenda Cut Off Yellow Backpack from Empyre. 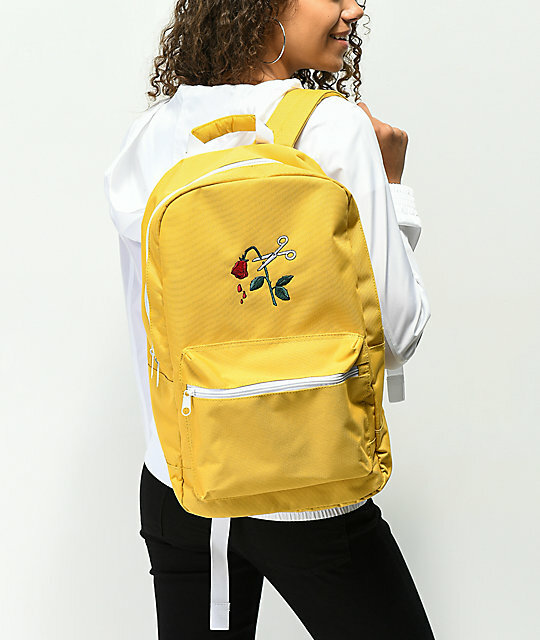 Yellow canvas construction with rose embroidered on the front. Roomy main compartment with a padded laptop sleeve. Woven haul handle on the top. 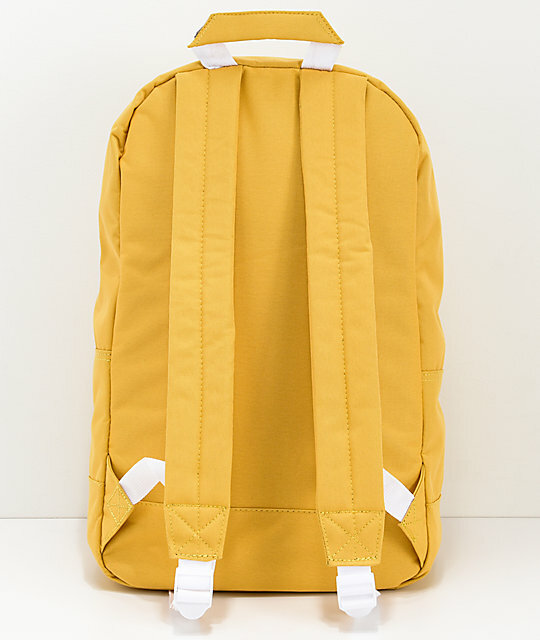 Dimensions: 17" H x 11" W x 5" D | 43 x 28 x 13cm.